Recent I was lucky enough to run a trail race that contained a significant section on the sand. While it was extremely enjoyable, I did realise how tough it could be. In this post we’ve put together 6 tips for running on the beach. Safety first. It might seem obvious but when you run on the beach the conditions can change significantly and suddenly depending on the tides. 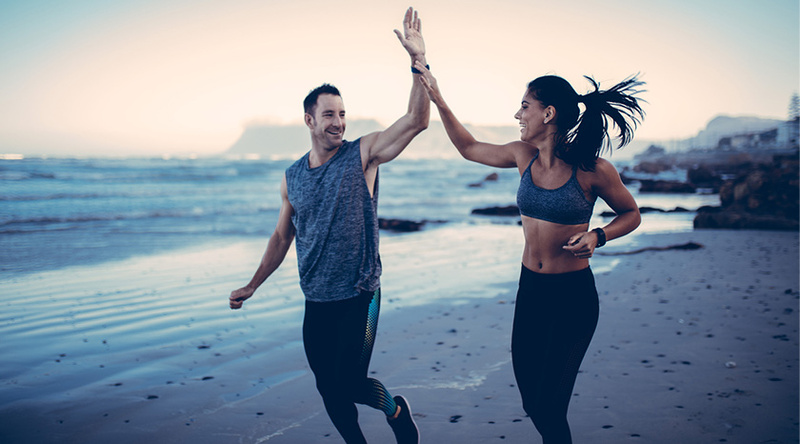 The best time to head to the beach for a run is just as the tide has gone out, this will give you the longest window of opportunity to safely run on the sand without risking getting trapped by the incoming tide. Knowing the tide times and how long you’re planning on running for can have real logistical implications – you want to make sure that you’re well past any ‘pinch points’ such as coves and inlets. When you look at the beach and consider where to run, you’ll normally spot two distinct trails – the golden white sands and the dark, wet, gloopy stuff. It’s time to get your running shoes dirty because the best place to run is on the darker, wetter sand that also happens to be firmer. You might be tempted to run through that golden, soft sand thinking that it’s going to be kinder to your muscles and bones – it’s not! Soft sand has lots of give and running through soft sand is tough and can leave your ankles and legs feeling trashed. Instead, opt for the firmer sand which offers just as much cushioning as the softer sand but will mean you can run on it for longer without zapping your legs. While it might be tempting to run barefoot and feel the sand between your toes; the enjoyment suddenly stops the moment your foot steps on a rock or even worse, a shell! 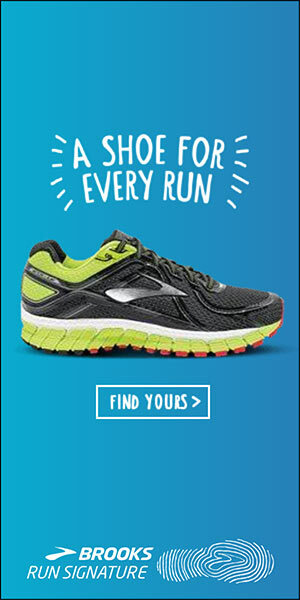 Running in a good pair of shoes can make a real difference to your enjoyment of a beach run while trail running shoes- will give you the most traction your normal running sneakers will work just fine. To quote the song “if I could offer you only one tip for the future, sunscreen would be it”. If you’re planning on running by the sea, especially during summer you’ll want to make sure that you’re wearing sunscreen. Most runners should be running in summer with sunscreen on anyway but the reflective surface of the sea means that UV rays bounce off the surface of the water and potentially expose you to a greater number of rays. Unlike when you head out on a forest trail, there’s also a distinct lack of shade when you run on the beach which increases your time in the sun. A study found that runners are more at risk of malignant melanoma so if you only take one thing away from this article – make sure you wear sunscreen when running. One of the more dramatic things that I’ve ever seen while running was a storm rolling in from out at sea. Should a storm roll in when you’re running, you’ll find very little protection meaning it’s always worth packing a few bits of kit should you be doing a long, coastal run when there’s a chance of rain. This one caused a bit of debate in our office when running on the beach we suggest you run with socks and the higher they are the better! The no-sock look is great but once the sand starts running against your skin you’ll soon be feeling those blisters forming. Running on the beach is a fantastic alternative to heading out on the trails and by taking the time to do a little forward planning you can have some incredible running experiences. For runners living on either coast we recommend that if you can safely run on the beach as the sun rises or sets you should really take the time to experience it! So that’s it, now you know how to run on the beach it’s time to head out and enjoy what can be one of the most beautiful tracks that you’ll ever run!